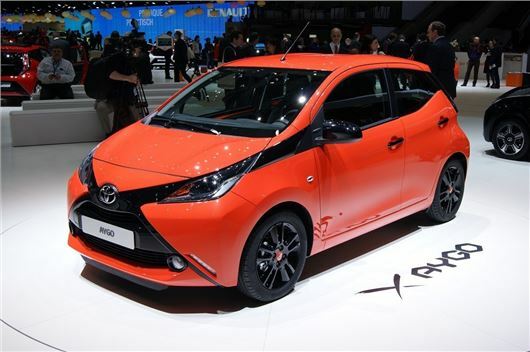 The second-generation Toyota Aygo has been launched at the Geneva motor show. The company revealed two versions - the standard Aygo, and the Aygo ‘X-Wave’, which is fitted with a power operated fabric top. The new version is much more distinctive than before. The boldest visual feature of the new Aygo is its new ‘X’ design that is splashed across the front of the car. But like its Citroen C1 and Peugeot 108 cousins, Toyota promises that a huge range of customisation options are available. The new car builds on the strengths of its predecessor and will no doubt appeal to younger drivers. At present, exact plans for the UK line up are still being finalised. Personalisation options include the ability for owners to change the look of their cars. The new Aygo is fitted with a series of interchangeable parts, which allow owners to modify key elements of the design. It’s also possible to change the colours of the X-shaped front grille, rear bumper insert, front fender garnish and alloy wheels. Inside, you'll be able to change the instrument panel, centre console, air vents, gear shift knob and lever surround. Changes are simple and quick to make, on the basis that some owners might want to adjust the look of their car more than once. All Aygo models will come with USB and AUX connections, LED daytime running lights, Vehicle Stability Control (VSC) and Hill Start Assist. In addition, cars also offer the option of curtain airbags, Isofix, a tyre pressure monitoring system and an adjustable speed limiter. Pricing and launch details haven't been revealed but it will go on sale this summer with prices expected to start at around £8500.